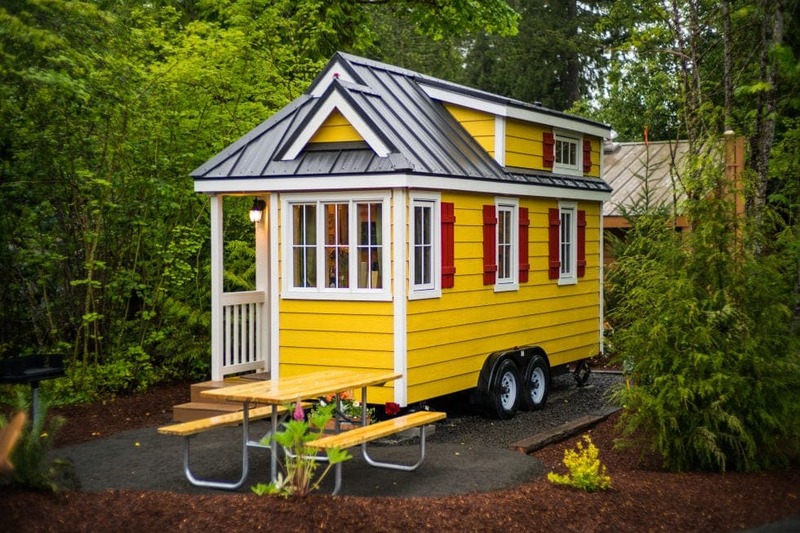 The Tiny House trend has taken the internet and our hearts by storm. We want you to create your own and have a cozy space that belongs to you and your loved ones. So you can do this with ease, we’ll tell you step by step just how to build your tiny house! The first step is the most obvious step; design your tiny house plan. It’s important to decide how many square feet or meters you want your mini-home to be, what purpose you want it to serve, and how you want the layout to look. 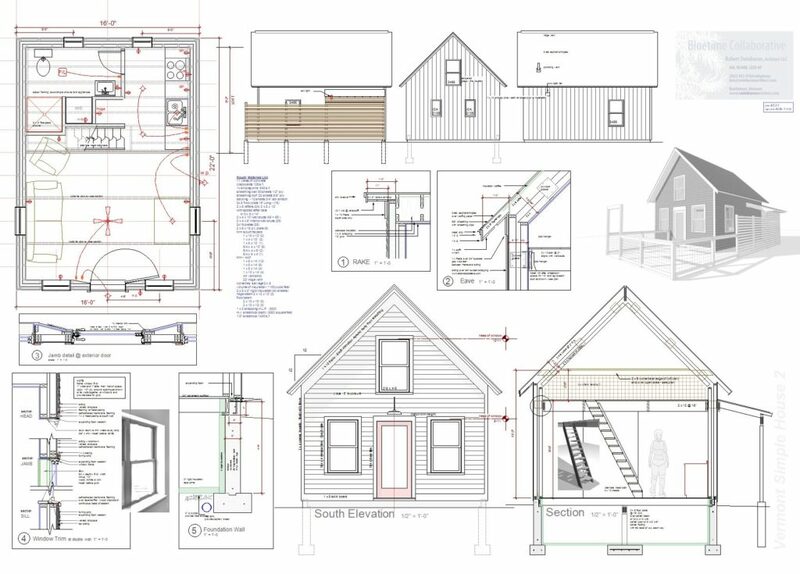 For the inexperienced in tiny home building, use SketchUp to develop a plan that you can turn into a measured drawing. This will help you rationalize and visualize the type of structure you’ll be bringing to life. Try to avoid narrow window and door placements, complex wall and roof designs, and remember to keep it simple. 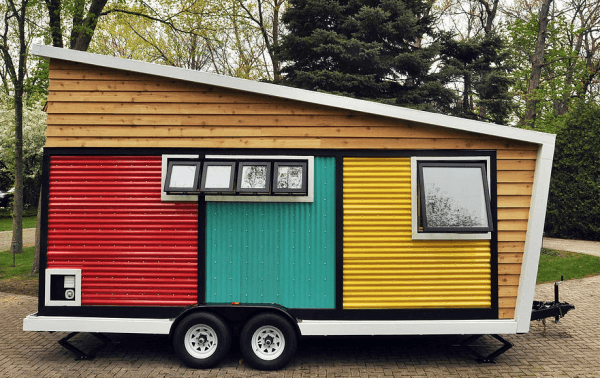 Less is more when it comes to tiny houses! When you’ve got a complete plan and set of designs, make a list of materials that you need to build your small dream home. The first piece of equipment you’re going to need is a flatbed trailer. This will serve as the foundation for your tiny house, so make sure you acquire a sturdy one. 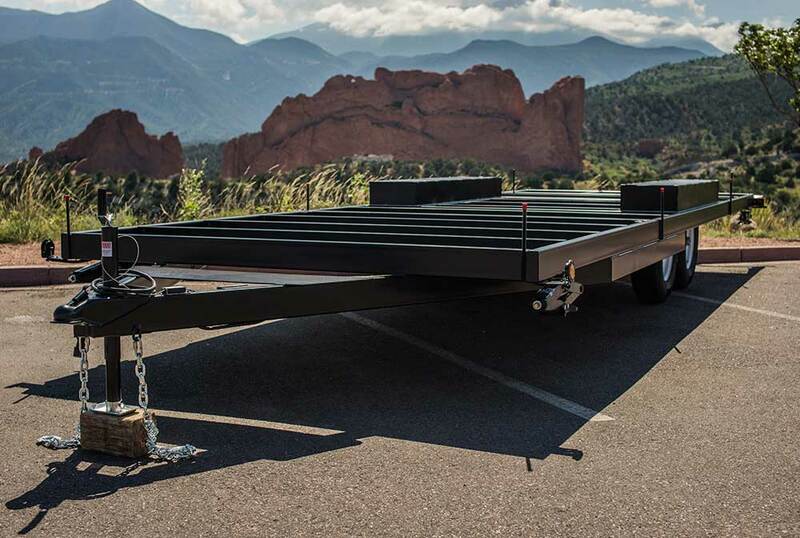 A highly recommended model is the simple dual axle flatbed trailer and depending on the weight and size of the flatbed, you’re looking to spend anywhere between $2,000 and $4,000. An important reminder: Find a piece of land that isn’t just big enough to build your tiny house on, but won’t cause you legal trouble. You may have to get a permit for a small piece of property depending on where you live. 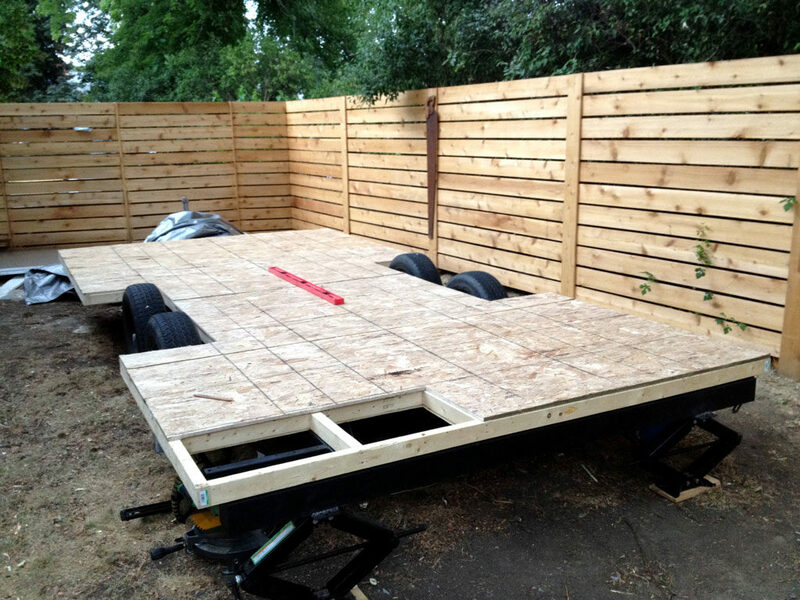 To start, build the floor of your tiny house on the flatbed trailer. The best material to use is standard lumber and then, you’ll move forward by sheathing it with plywood. The most important part of the flooring process is fastening it to the trailer effectively and accurately. To do this, make sure you use a combination of nuts and bolts, plenty of fasteners, and metal brackets. Depending on the flatbed trailer you’re using, you may want to use u-bolts as well. These building materials will come in handy throughout the wall and roof framing process as well, so purchase them in bulk. To save yourself a whole lot of trouble, prepare and install a rough-in for the electricity and utilities your tiny house will require. 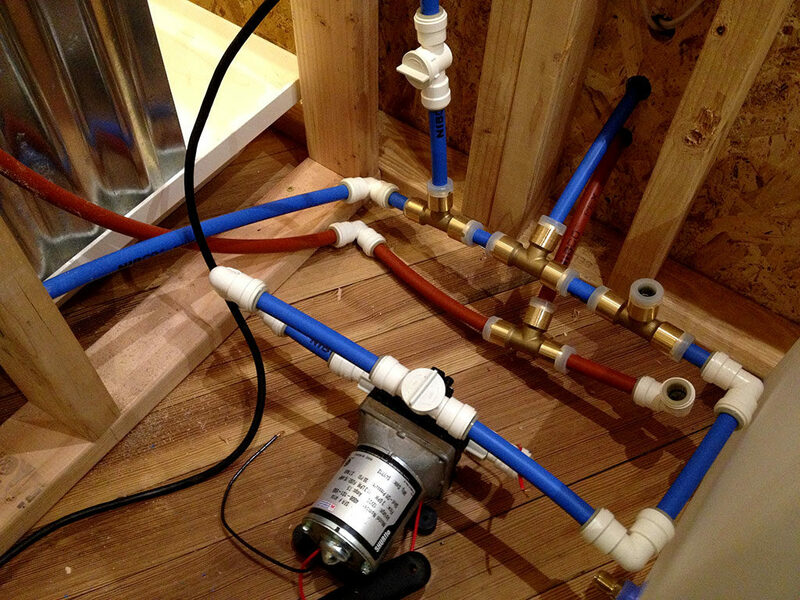 It’s best to install the drain lines for the shower, sinks, and toilet (whether you use compost or a sewage tank), before you begin the frame and wrapping of the structure. It’ll be more difficult to do so when the house is almost complete. Now it’s time to create the shape of your tiny house! 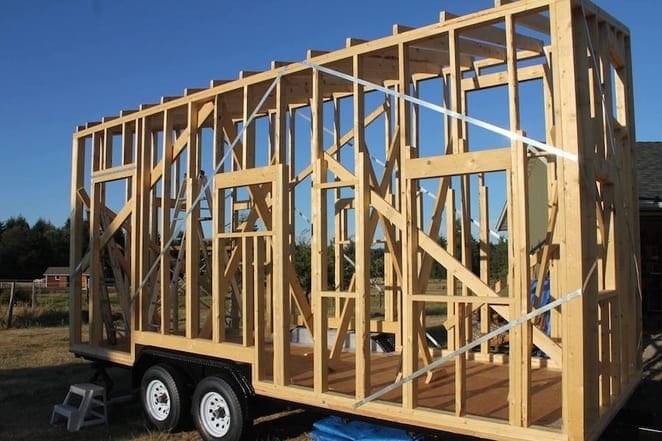 Frame the house using lumber in the shape that flows accordingly with your flatbed floor and strap it down using metal brackets. You’ll want to sheath the frame with plywood (or you can use OSB – it’s just as durable). Don’t skimp on the metal bracing; if you’re worried about the aesthetics of the finished house, you shouldn’t be. The metal brackets won’t be visible once the house is sheathed and you’ll 100% safe knowing your project won’t collapse. Now it’s time to repeat the framing process in the form of a roof. At this point, you’ll be glad that you chose a simple design when building the tiny house. 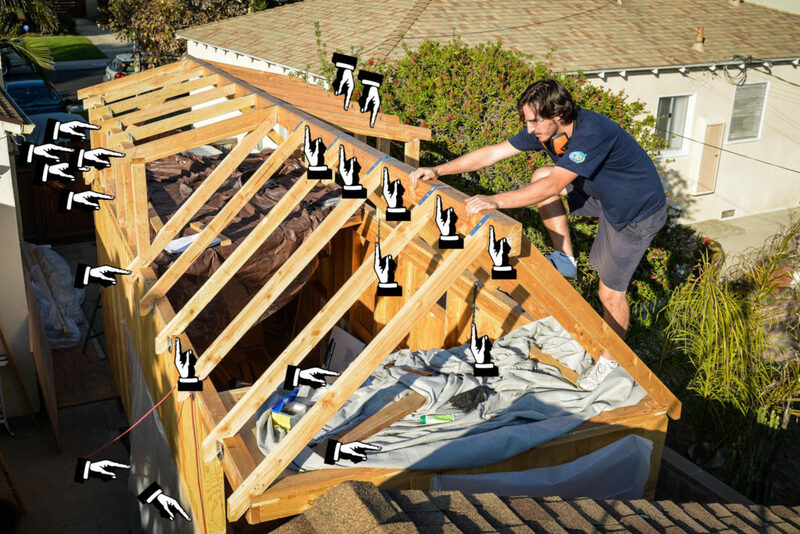 The roof is one of the most difficult parts of the structure to complete because of the angle and the elevated position fin which you’re working from. Make sure you have a partner spotting you and ready to hand you the proper metal brackets and u-bolts as needed. Fasten that roof tight! Once it’s sheathed and fastened to the max, install your chosen roofing material. Metal roofing material is usually recommended because it’s the top combatant against aggressive weather patterns. Once you have the shape of the house and it’s undeniably stable, it’ll be time to wrap it up and weather proof it. House wrap is a breathable type of material that will keep the tiny home dry and protect it from excess moisture. This step is essential to prevent deterioration and eventual corrosion of the structure, and adds to the longevity of your tiny house’s life span. Use a special, sealing tape to cement the wrap to the frame. Once the house is wrapped, you’ll install the doors and the windows. There are two essential things to remember when installing the doors and windows. 1: They need to be perfectly leveled and squared off. 2: Use an adequate amount of sealing tape around the doors and windows edges, to avoid leaving cracks around the edges for rain to seep through. Do these two things correctly and your tiny house will function just right, for a long and happy period of time. Once you’ve properly installed each window and door, seal up the exterior of the home using exterior grade plywood; this type of plywood material will clad the outside of the house and it can be painted for aesthetic pleasure. It’s also possible to use fibrous concrete board, which serves the dual purpose of cladding and single-layer sheathing. Both types of material should be painted, as should the trim of the home’s exterior. Get crazy with this step! Choose whichever patterns, colors, or designs you want for your new mini-kingdom. 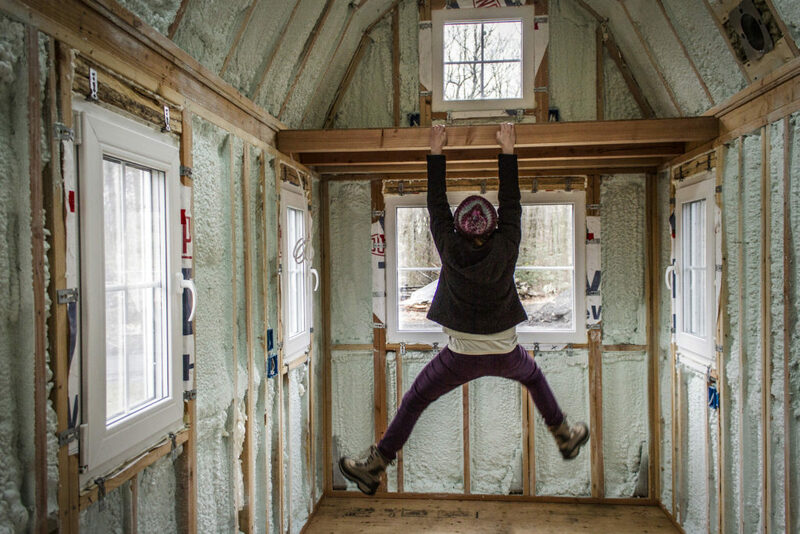 The second step before you get to decorate your tiny house is insulation. Your best bet is to use low-VOC board (volatile organic compound); it’s healthier for the lungs and contributes to a cleaner air quality in the finished house. The key to successful insulation installment is covering every crack and air leak possible. As an insurance policy, use expanding spray foam around the sharp edges and corners of the house’s interior. Once the interior is insulted, sheath for the last time with the material you prefer – wood or drywall. Install electric outlets in the walls and your faucets in the kitchen and bathroom. If you have any fixtures sitting on the sidelines like hanging lamps curtain rods, or stove tops, this would be the time to install those as well. Now, we get to the fun part! If you plan on channeling your inner carpenter, now would be the perfect opportunity to build customized cabinets or any other flat surfaces you may have practical use for. Built-ins take a bit of time complete and usually require a professional. Then, go crazy once again! Bring in your favorite furniture, hang some gorgeous curtains, paint the walls whichever shade you like, and make it a home away from home. Don’t forget to finish the floor off after painting and decorating. A pre-finished wood floor is an affordable option with a nice touch to it, but if you want to lay tile or another material type over the plywood be our guest. 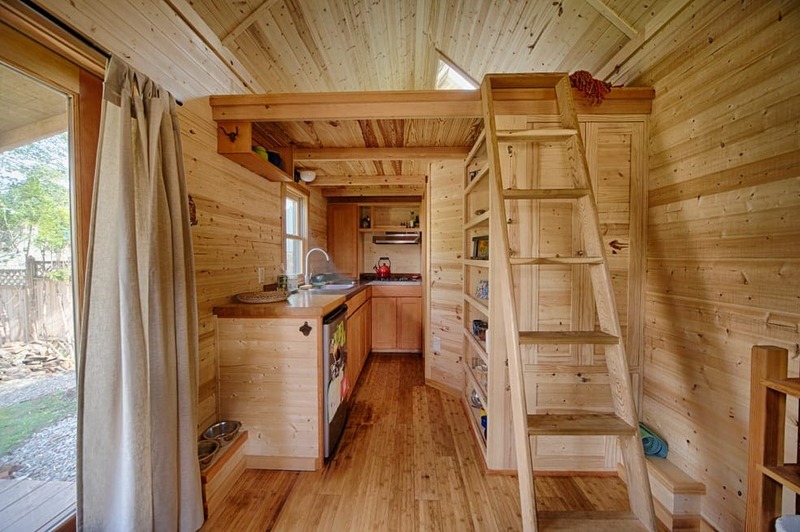 Since you now know the basic steps on how to create build your own tiny house – get to it! Just think of all the possibilities you can do with such a special project. You could choose to build a game room, somewhere to host an outdoor garden party, or perhaps you’d prefer a secret getaway that’s not too far from your large house. A tiny house is the hottest trend for a good reason and it can go anywhere you go, too!